My Lab work shows improvement in levels since taking CoQ Clear by NuMedica! 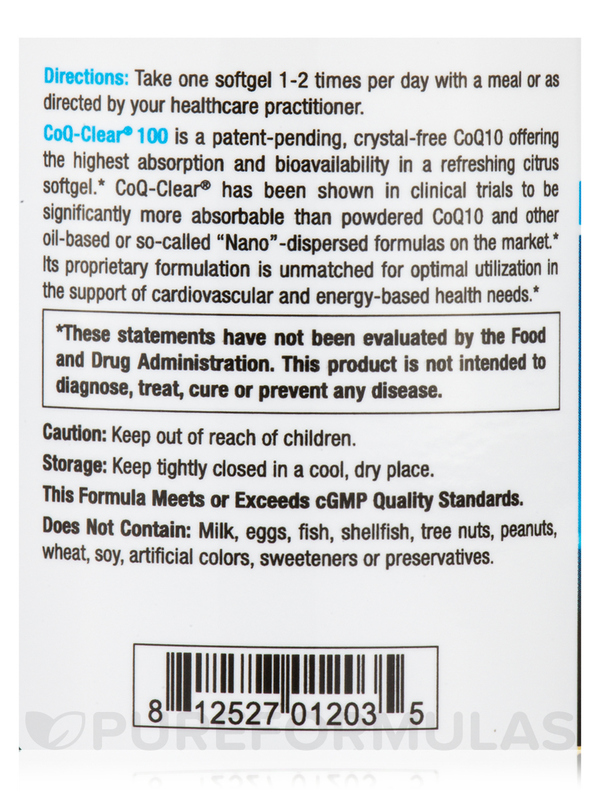 Both my husband and I take CoQ-Clear 100 Ubiquinone (Citrus Flavor) by NuMedica is very important to us as we age. 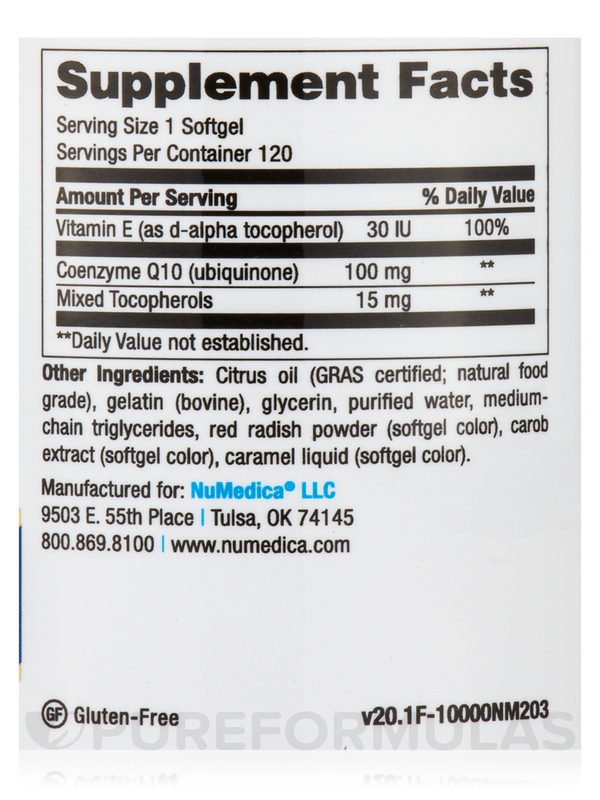 CoQ-Clear 100 Ubiquinone by NuMedica was recommend by our doctor after blood work. I do not notice any 'citrus flavor' but there are also no after tastes. Love that they don't have all the fillers. Support your organs‚ like your heart and brain‚ when you use CoQ-Clear® Softgels from NuMedica®. 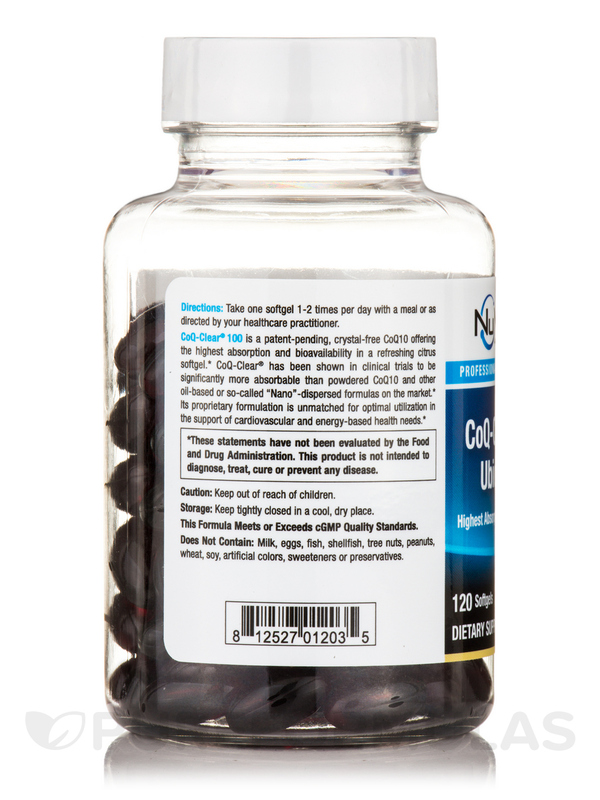 This crystal-free‚ advanced form of the coenzyme CoQ10 is reported to have high absorption and bioavailability by the body. With enhanced utilization it could offer amplified support to cardiovascular health and energy production. 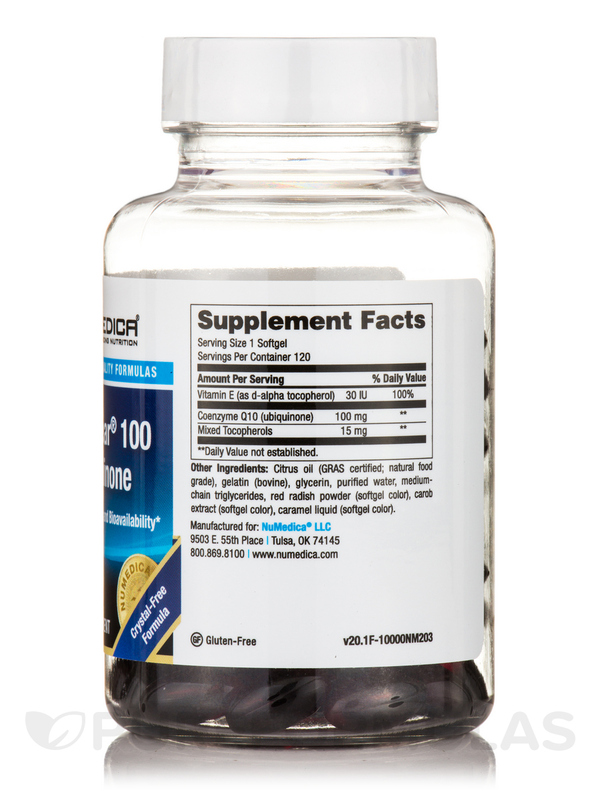 This proprietary formulation from NuMedica® packs the antioxidant benefits of CoQ10 in a ready-to-absorb form. This coenzyme is vital for basic cell function‚ growth‚ and maintenance. It is likely involved in the digestion process and may shield the heart and skeletal muscles. Exercise enthusiasts and athletes often find that CoQ10 may kick-start energy‚ and speed recuperation time after intense workouts. Ongoing research indicates that CoQ10 could help the immune system and enhance its efficiency in preventing abnormal cell activity. It has been reported to offer support in certain eye and gum conditions‚ chest pain‚ and migraine headaches. Start taking CoQ-Clear® Softgels from NuMedica® and live a heart healthy life while potentially offering added support to your brain function. Other Ingredients: Citrus oil (GRAS certified; natural food grade)‚ gelatin (bovine)‚ glycerin‚ purified water‚ medium chain triglycerides‚ red radish powder (softgel color)‚ carob extract (softgel color)‚ caramel liquid (softgel color). Does not contain: Milk‚ eggs‚ gluten‚ fish‚ shellfish‚ tree nuts‚ peanuts‚ wheat‚ soy‚ artificial colors‚ sweeteners or preservatives. 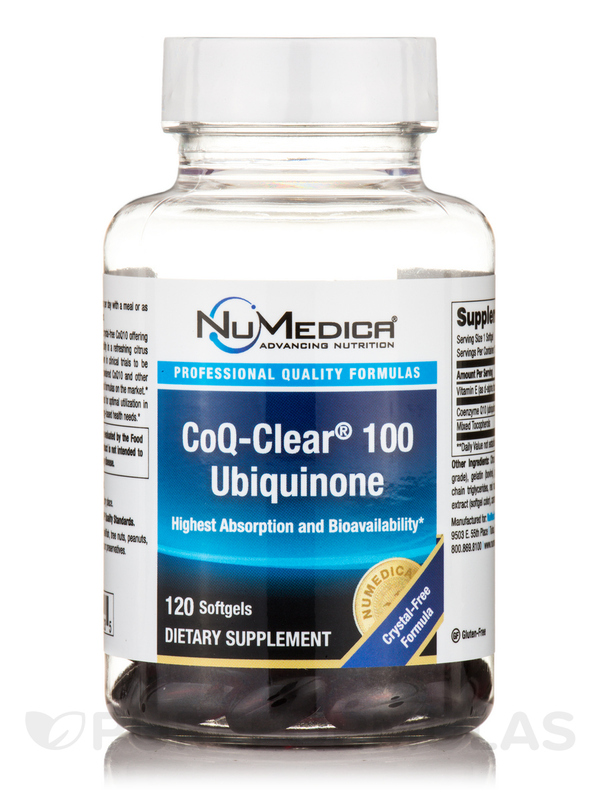 CoQ-Clear 100 Ubiquinone by NuMedica a good option. I taste it for hours after taking.